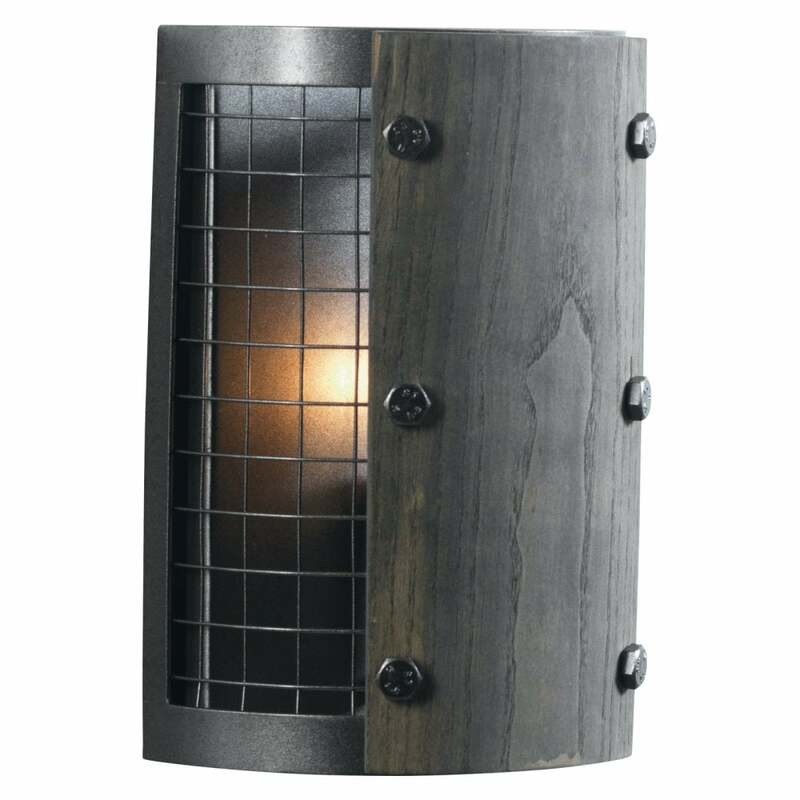 Oaks Lighting Harkin single light wall fitting features a half cylindrical shaped metal shade with dark wood panels and wire grill design. The product code is 813 WB RU. This urban chic design will add an industrial look to any decor within your home and teamed with he matching pendants in this range will complete the look. The Harkin range includes a single or 6 light pendant which can be viewed on our website.